I'll be your wing man anytime. The first loop vid is set to private btw. List it as public so we can all have a laugh at you dying halfway through and me asking if you want to start over, lol. I've been experimenting a little bit. At the spots where you can make the little saplings grow tall with the laser weapon, if you switch to shot just after they appear, I think you can get a better rate of fire going and thus more points. Not sure though, what do you think? you can make the little saplings grow tall with the laser weapon, if you switch to shot just after they appear, I think you can get a better rate of fire going and thus more points. Not sure though, what do you think? I thought so too, but apparently only having the laser equipped when the saplings come onto the screen is the requirement. Same with the secrets for the other weapons. 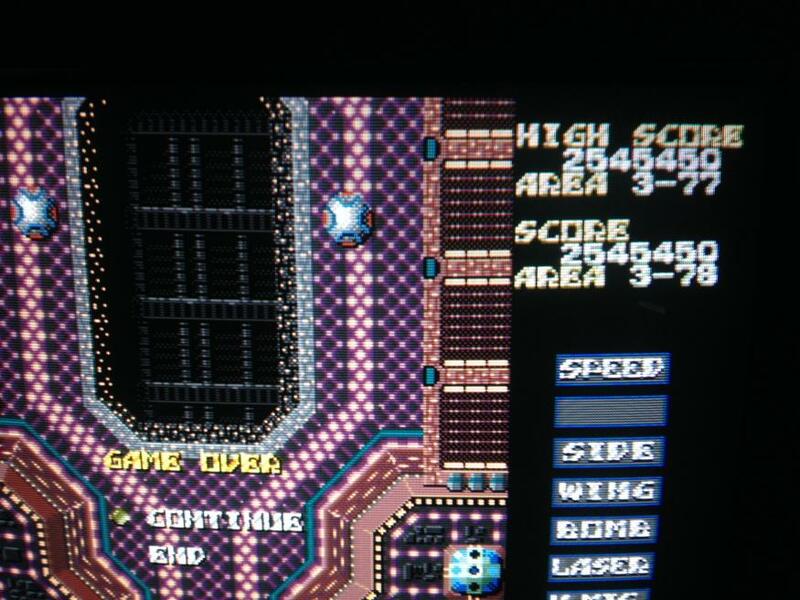 Should be counterstoppable, however I wasted about 20 extends recovering before the final boss in the 5th loop. Good going CHI! I've yet to beat my score, although I've managed just over 1 mil. on loop 1 now. It's also not so easy to stay motivated for several Slap Fight marathons. Loop 6 gets really tough, and loop 7 and 8 get even faster yet. However, loop 9 reverts back to loop 1 difficulty, so if you can get past the loop 8 wall, you'll get the CS for sure. Last edited by Perikles on Thu May 14, 2015 9:11 pm, edited 1 time in total. Thanks to both CIT and CHI for your great scores, you gave me the incentive to go for the counterstop. Between yesterday and today, I've probably put around 8 hours on this. 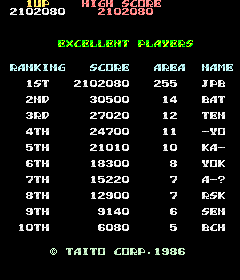 Pretty good first submission, that's much better than any attempt I've made at the arcade version. Nice to see you playing stuff again! I really fell in love with this game, it's a simple game, but with a lot of weird secrets and a pretty solid level design. I just watched an old Vandemesque video, and was gobsmacked with his finesse playing it. He's like a "ONE SHOT ONE KILL" guy, he clearly knows the game by his heart. I am more like "WAGGLE THIS STICK AND PUNCH THIS FIRE BUTTON LIKE A CRAZY MOTHAFUCKER" on this game, hehe. I have had several desync issues when trying to reocrd, all sorted though so enjoy the HD @ 60 fps goodness! I may do a commentary, what do you think? @ Shatterhand, thank you for your kind comments, my style is actually to conserve my hands when playing, frantically always shooting hurts! I'm pleased enough to beat my previous high score, sat around a few hours today after a poor sleep and did well enough considering. Could've gone to the 6th loop and 3m but didn't make a good COA at the final check point. That was fun. 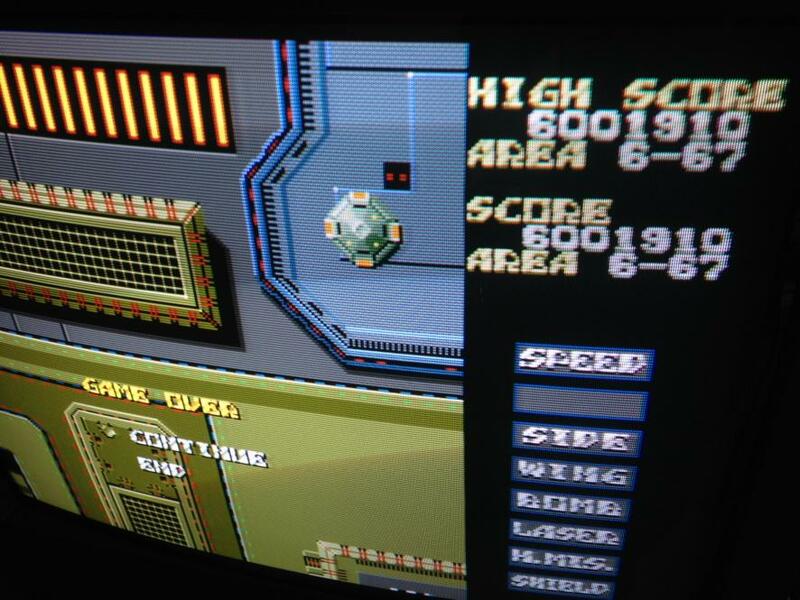 Almost made it to loop 6, but the final checkpoint is fiendishly difficult to recover from. I would love to see a version of this game with a permanent shield (just like the port) which only withstands a single hit. Seems like a happy medium to me - the shield is too strong in the port, but it can be somewhat annoying to lose it in the arcade version just by account of time running out. Amongst other things, i.e. 57:46 to 58:30 mins, lool. Yeah, I used autofire. That's no secret whatsoever since Despatche added a section asking for it (after the reached stage) and I explicitly stated "Yes". Now, I can understand that someone would want to differentiate between scores achieved with and without autofire in this game since it does indeed make a substantial difference (even moreso than in other games of the era) but I find it rather presumptuous to just postulate that using autofire is against the "spirit of the game" (whatever that means in this context). The same argument could be made for a ton of other games as well, really. 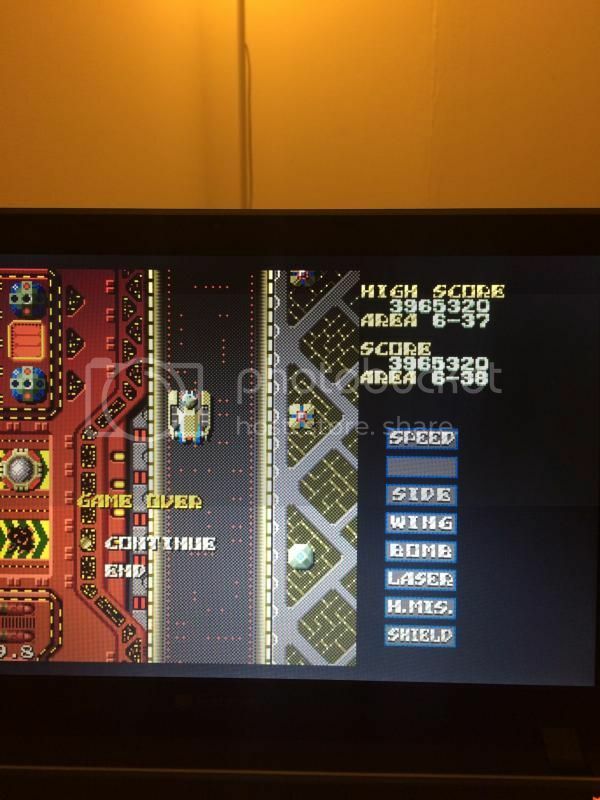 The spirit is that auto-fire was not available on the original arcade, nor was it used in my efforts. 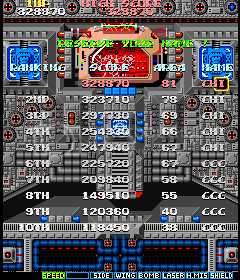 As an experiment I can understand, I have seen 9,999,999 (EDIT: In arcade mode via Twin Galaxies .inp. Not to be confused with the MegaDrive/Genisis version), but what use is that when it is not what can be achieved by the original arcade?